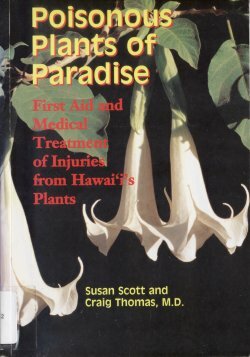 Poisonous Plants of Paradise: First Aid and Medical Treatment of Injuries from Hawaii’s Plants by Susan Scott and Craig Thomas, MD. Available at the Kapaa library (and possibly others), H 615.952 Sc under Hawaiiana. Oleander, Be-Still: Both of these colorful ornamentals are deadly if any part is ingested even in small quantities. 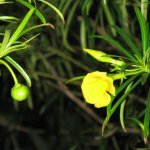 Oleander leaves and be-still seeds are the most poisonous, but even dust from leaf litter can irritate the airways. Parents should definitely know these plants, never bring them in the house or yard, and keep children away from them outside. I’ll mention that be-still also grows wild in Kalalau, mauka of the trail between the river and the campsites at the beach. The book says that even using a stick from it to roast marshmallows or hot-dogs over a fire, or inhaling smoke from burning the wood can kill an adult. Angel’s Trumpet (on the cover above), Cup of Gold: These two plants aren’t related, but they both have large, pretty and sweet-smelling flowers with similar toxins. The smell of the flowers is pleasing, but some people report mild symptoms such as headaches and dizziness just from inhaling the scent. Also, rubbing the eyes after touching the cup of gold flower or any part of the Angel’s Trumpet plant can cause pupil dilation and blurred vision for up to a week. 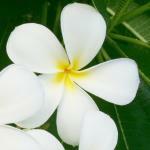 Plumeria: This widespread plant is mildly poisonous, ingesting leaves or flowers can irritate the digestive tract. It’s the sap that’s irritating and a few people develop rashes when they get it on their hands from breaking a branch or leaves. Children sometimes put the fragrant flowers in their mouths, but will not have any symptoms unless they ingest whole flowers. Mango: The sap of this tree contains toxins related to poison ivy and poison oak of North America, so people who are sensitive to those might react to the leaves and skin of the fruit. Because repeated exposure increases the reaction, sensitive people should avoid contact. The fruit is safe to eat even for sensitized people once it is peeled by someone else. Poinsetta: A professor in Hawaii in the 1940’s erroneously claimed that even one leaf was toxic, but this book claims it was a mistake. While ingesting the leaves may cause vomiting, and repeated handling may cause a mild skin rash, the authors are confident there is no toxic substance that may cause further harm. Castor Beans: This plant grows along roadsides and disturbed areas all over the island, but the whole plant and especially the beans are deadly. The beans are very pretty and contain both castor oil and the poison ricin, known to have been used by spies for assassinations. I’ve never seen a seed lei made with these, but pricking your finger with the needle for stringing them is enough to cause severe symptoms. Elephant Ear: These plants with leaves up to 4 feet (1+ meter) are related to taro and grow in wet, muddy conditions near streams and rivers. Like the taro plant, they contain invisible calcium oxalate crystals, tiny sharp needles inside the plant cells that irritate the skin. What I did not know is that these plants have a cell mechanism to project the crystals whenever a leaf or stalk is broken. Crushing or chewing the leaves or stems will cause a burning rash where the crystals embed in the skin or mouth. Differernt species had varying amounts of calcium oxalate. 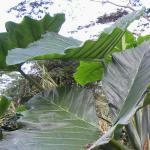 Taro leaves must be thoroughly cooked, and elephant ears were only cooked in times of famine. 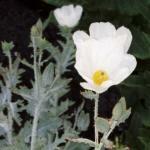 Hawaiian Poppy: It’s one of the few native poisonous plants and the only prickly one. Like most poppies, the sap can irritate the skin and causes vomiting if ingested. The toxin affects the heart muscles and is deadly if enough is ingested. The only place I’ve seen this plant outside of botanical gardens is near the heiau in Kalalau Valley. Kukui Nut: All parts of the tree contain a mild toxin that is only dangerous to small children. The sap can cause a skin rash, but most poisonings are from the nuts. Raw nuts allegedly taste good, but a single nut can cause nausea, more cause vomiting, severe cramps, and diarrhea. Hawaiians cooked the nuts and ate them as a relish, and the authors say “cooking alters the toxins and makes the nuts safe to eat in small amounts”. 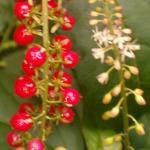 Pokeberry/Coral Berry: Pokeberry is a native plant with small black berry clusters, coral berry has tiny red or orange berries. Both types of berries were used as dyes, and the plants are eaten as greens, despite the danger. The whole plant contains toxins: eating the root or undercooked leaves can be deadly to adults, and berries, especially unripe ones, can be deadly to children. 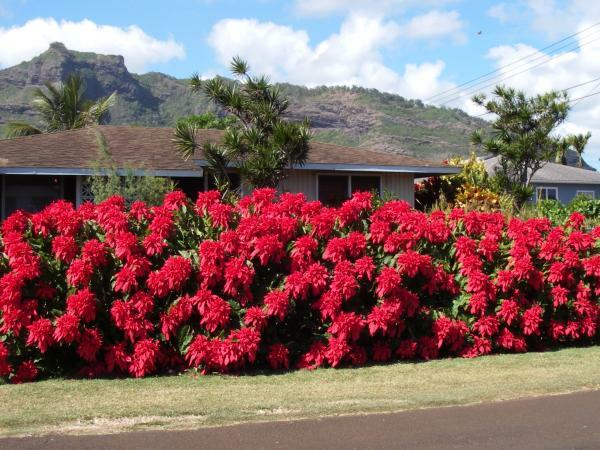 I’ve only seen the red coral berry, but it grows as a weed in our garden and an invasive in Waimea Canyon and Kokee. Silky (or Silver) Oak: This non-native tree from Australia is not related to oak. It was used in the 30’s and 40’s to reforest the eroded slopes of Waimea Canyon and the Pali-side of Kokee. Some people can get a rash from touching any part of this tree, though it only appears after 1-3 days, making identification difficult and often spreading to the eyes by contact. Sensitized people can get an asthma attack near these trees. It has a pretty flower, and even though my parents’ house used to have a specimen, I didn’t know it was potentially harmful. 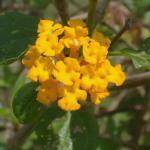 Lantana: This bush with a recognizable smell might have pretty flowers, but it is an invasive weed that grows in thickets and is taking over forests on Kauai. 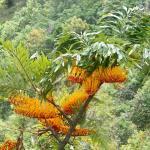 Hikers know it because it has small curved thorns that can scratch badly, but I didn’t know the plant was poisonous. The leaves can cause a rash and are deadly to ruminants and fish. The berries are toxic when unripe, and even though some people eat ripe berries, they are potentially dangerous as well. Mushrooms: If you haven’t learned to identify mushrooms in Hawaii, never pick and eat them here. Many poisonous and dangerous mushrooms in Hawaii look similar to edible ones on the mainland. 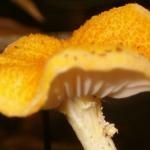 They may even be the same mushroom, but different soil and weather conditions make them inedible. According to the book, the fatality rate for the hallucinogenic “magic” mushrooms is “less than 1%,” which is very high if you think about it. Unlike the book, these descriptions are not exhaustive. 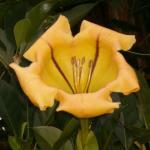 Other plants may also produce unpleasant symptoms if touched or ingested, especially in children. Avoid touching plants you are not familiar with, wash your hands as soon as possible especially if you get sap on them, and do not touch your eyes in the meantime. If you suspect a plant poisoning of any kind, keep the plant for identification and call the poison hotline. If symptoms are present, take the patient and the plant to the nearest emergency room. There are other ways in which plants can hurt people outdoors. A maintenance worker was killed recently on Kauai while cutting trees away from the highway. While I doubt many of you will be chainsawing, remember to be careful of rotten branches and stumps in the forest. I’ve been thrown off balance when pulling myself up on one of those, and there’s always the potential they they are holding up other branches than can fall on you. 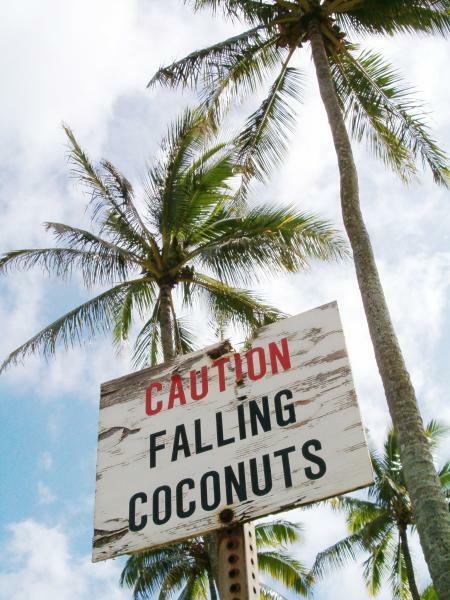 Finally, always pay attention when you linger under coconut trees. When I was “fresh off the boat,” it hadn’t occurred to me that coconuts eventually fall off the tree, and they are most likely deadly if they hit you. Most parks and public places remove the developing coconuts, but it’s best to look up and make sure before you spread out your towel. This entry was posted on Wednesday, January 24th, 2007 at 11:59 pm and is filed under Flora, Reviews . You can follow any responses to this entry through the RSS 2.0 feed. You can skip to the end and leave a response. Pinging is currently not allowed. The national public radio show All Things Considered had a segment today on how poisonous European mushrooms, amanita phalloides, are taking over Northern California, boxing out other species. The fungioid factoid that struck me was this: scientists estimate 95% of fungi species are not known and classified by scientists. That is too funny – the coconut pictures, I mean. I’m definitley putting you on my blog roll. I’m sorry I have missed your blog all this time. I would have put in on before. Thanks for making contact. I’ve linked to you about how I’m helping the housing and construction economy by buying flowers for my porch … only to learn that my flower is poison! Yikes! I saw a Hawaiian Prickley Poppy on the little hill across the saddle road from Mauna Kea. I thought it was a garden escape rather than a native. I’ve never heard of something like that. Could it be some sort of cut that got infected? Even on the mainland or in other tropics, I don’t know of a plant that bad. Poison oak and poison ivy are just about the worst poison-on-contact plants I know of. The only other thing I can think of is a coral cut. Live coral contains bacteria that cause infections, and I suppose it can be dangerous if the infection gets in the bloodstream. Glad your son is being treated, but I can’t help you with more information. And unfortunately, I don’t think many people will be reading this old post. I live in CA and are removing my Plumeria trees, the puppy loves eating the green leave that fall, then she vomits! Hi Kari, We have dogs, and when they were puppies, they would eat grass and other plants which also make them vomit, but not the plumeria leaves. It’s too bad you have to get rid of the trees, but maybe you could fence off that part of your yard until he/she grows out of it. THANK YOU. Grandson (9) just got a bad rash on his back from playing in a part of the forest that’s new to him. (Pahoa), so this will help track down the culprit. Hi Beth, not sure what that could be, and odd that it’s only on his back–and not his arms or hands. Maybe he was rolling or playing in the leaves, and they got in his shirt. With sweat, the leaf litter and dust could’ve stuck to his skin to cause a reaction. As you can see from the few excerpts, more than a few leaves (silver oak, mango, plumeria, coral berry) can cause irritation. Hopefully you can go to the same forest yourself and see what trees or plants are there, and know what might have caused it. But I am not a doctor or a botanist, so please seek medical attention if necessary. R755 theme designed by varometro. 31 queries in 0.240 seconds.